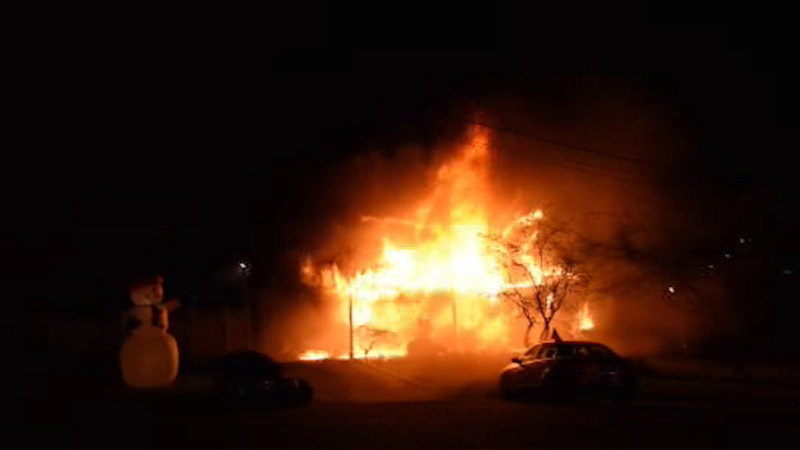 DEER PARK, Long Island (WABC) -- Christmas lights are likely to blame for igniting a ferocious house fire on Long Island Monday night. Investigators believe decorative lights on the outside of the home in Deer Park caught fire. The home was gutted by the flames. Fortunately everyone inside managed to get out safely. Two family dogs were rescued from the home.